We are specialized in the area of Oncology. Our in house medicinal chemistry coupled with cell based assays and tumor models serves as the heart of our discovery engine. 25 Anushka Estate, Kalkheda-Neelbud, Bhopal, Madhya Pradesh INDIA. MAARC LABS PVT. LTD. is a privately owned, commercial and totally independent testing laboratory specializing in sugar, sugar by- products,water, agri-products, food products and environmental analysis. Established in 1996, to meet the need for an efficient and dependable analysis service to sugar producing and using industries, Maarc labs has now expanded its activities to include chemical and microbiological analysis of food products, raw, process and packaged drinking water, and export quality fruits and vegetables. Founded in 1952 by late Shri K.V. Pendharkar, the VICCO Group has emerged today as makers of the best internationally known products of the Ayurveda, the ancient Indian system of natural medicines. Having production units at Dombivli, Nagpur and Goa in India. Under the able guidance of Shri. 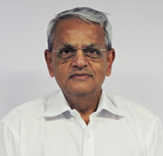 G.K.Pendharkar, Chairman. the company has established strong foothold in almost every developed country in Asia, Europe, America, Africa and Australia. Combining ancient wisdom, with modern technology, the company has expanded business activities into investment, trade, advertising and education sectors as well, 13 of its associate companies. Mumbai - 400 012, Maharashtra, India. KULKARNI LABORATORY is offering fully independent, high quality contract analytical service to the chemical and pharmaceutical industries. Started by Prakash Kulkarni, who has more then 35 years of experience of various industries and also defense organization. KULKARNI LABORATORY has provided clients technical Services to meet a wide variety of challenges of testing requirements. We take this opportunity to introduce ourselves as a leading Chemical and Food testing Laboratory and looking for getting accredited by ISO & NABL in India. Karandikar Laboratories Pvt. Ltd, KLPL is one of India’s first IECEx approved laboratory primarily concerned with testing and evaluation of hazardous area, electrical/electronic equipment. A leading Test House, involved in Product Testing, Training, Inspection and Conformity Assessment services. Veol Medical Technologies, one of very few product development firms in India focusing exclusively on Medical Device Development Services. Veol Medical Technologies was founded on the basis of a strong technical background, a desire to innovate and change paradigms, and an emphasis on customer service. Possessing a strong medical and technical background and extensive experience in medical device development, Mangesh has utilized these skills to develop a critical, well rounded and sound engineering team capable of delivering breakthrough solutions. Veol Medical Technologies Pvt. Ltd.
Ar-Ex Laboratories Private Limited is a professional, research based pharmaceutical company specializing in manufacturing and sale of formulations, APIs and Intermediates. With a strong Product Portfolio and a Manufacturing Facility having WHO-GMP approval, Ar-Ex has been in operation for over 5 decades in India with vast experience in providing healthcare solutions. Business activities of Are - AREx Laboratories are now looked after by his two sons Dr. Ajit Gunjikar and Dr. Satish Gunjikar. Arex House, 21, Sitladevi Temple Road, Mahim, Mumbai, India. Galaxy Laboratories Private Limited commenced its operation in 1995 with Furfurylamine (CAS # 617-89-0) & 2,4 Dichloro–Acetophene (CAS # 223416-4) being their first products. The company is manufacturer of acheter du cialis en ligne intermediate for Active Pharmaceutical Ingredients (API) and Specialty Agro Chemicals. With more than 2 decades of experience Galaxy Laboratories has fine tuned to perfection various traditional and high yield technologies to manufacture high purity products. With roots dating back to 2002, Brooks Laboratories were established with a sole purpose of being a pioneer in the Pharmaceutical industry. Right from its inception, the company has entrenched strong foothold in the Pharmaceutical business and has successfully been a prominent part of Pharmaceutical Formulation Development, Pharmaceutical Production, Pharmaceutical Exports, etc. Starting out as Contract Manufacturer for various Pharmaceutical companies in India and abroad, over the years with sheer hard work, Brooks has earned its valuable name amongst its clients for quality products. Established in 1986, Dr. Deepak - Joshi. along with a dedicated team of doctors, established Madhur Pharma & Research Laboratories in 1986 to revive the Ayurvedic traditions and create quality products. 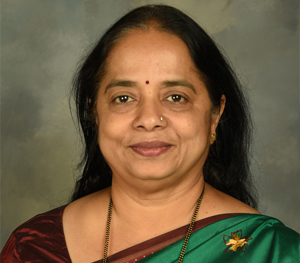 Madhur grew over the next few decades from developing and manufacturing products exclusively for the practitioners to an industry employing over 100 people and producing wide variety of products for a number of leading pharmaceutical and cosmetic businesses. Milan Laboratories (India) Pvt. Ltd. was establshed in the year 1976 - with the objective of manufacturing pharmaceutical formulations. A modest beginning, while being morally obligated towards improved human health, liquid orals and tablets were manufactured for the local markets. Supported by the initial success, other dosage forms such as capsules, dry syrups and Ointments were also added. The gradual expansion of the organisation was a series of milestones over the years which included Exports, building of a separate facility for Penicillin antibiotics and a brand new facility for General products, all replete with modern, state of the art and most current cGMP compliant systems. The latest cGMP norms were always adopted as a habit and culture. A qualified, experienced, continually updated and committed personnel base and our well maintained facilities has enabled us to achieve Quality certifications from WHO, UK-MHRA, South Africa-MCC, most other African and European nations. Our Organisation is ISO 9001-2008 certified as well. The organisation has been awarded Export awards from Chemexcil(Pharmexcil), FICCI and FIEO. The company enjoys star export house status. DBL is a subsidiary of Bhat Bio-Tech Healthcare Pvt.Ltd – a group company of Bhat Bio-Tech India (P) Ltd, a world renowned Biotech & Diagnostic Kits Manufacturing Company with GMP, CE and ISO Quality Certifications. 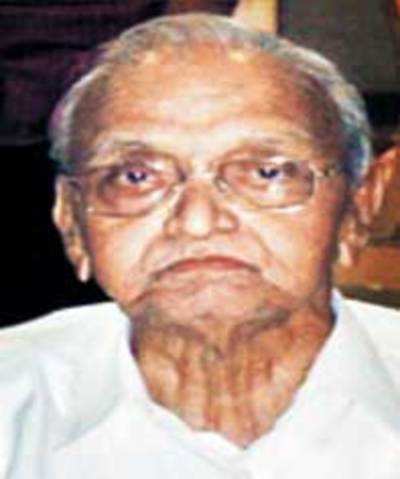 Dr. Sharda’s Shriram Pathology Laboratories was foremost to introduction of computerization & Laboratory Automation. Since then, it has kept itself swiftness with advances in technologies. Today, it is considered to be one of the best Pathology Laboratories, equipped with latest instrumentation. 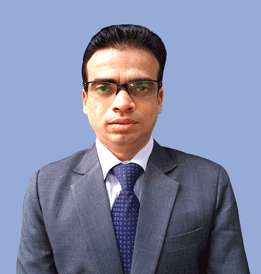 Shriram Pathology Laboratories is on the panel of Life Insurance Corporation of India, Pune and Telco, Pimpri. S.SERUM ANALYSIS CENTRE (P) LTD. (SACL) is one of the leading service providers of healthcare and services operating in India. The company is certified by ISO 9001 : 2008. Thus S. SERUM ANALYSIS CENTRE (P) LTD has been assessed "Medical Laboratories- particular requirements for quality and competence" for its facilities at Kolkata in the field of Medical Testing. SERUM is a national leader in diagnostic and services with the vision "To Provide Comprehensive Diagnostic Testing Services Throughout Every Corner of the Country." Serum Analysis Centre is a private limited company specialized in Hormone Assay, PCR Study, Gene-Based Diagnosis, Cyto-Histopathology, Its indeed the largest Thyroid Testing Centre in India. S. Serum Analysis Centre (P) Ltd.
Aurio Pharma Laboratories was established in the year 1972 to produce liquid pharmaceuticals The founder Late Mr. Ramlal - Bhattacharejee. was a man of honour, integrity and determination. APLPL has two state of the art drugs and pharmaceuticals manufacturing units one at Rabindra Sarani, Nimta and the other is at Dum Dum. Both are strategically situated within the city of Kolkata and are GMP and GLP Certified. DU Laboratories Limited started operations in the year 2011, with a mission of providing complete end to end solutions in pharma manufacturing, keeping the process DEFINITELY GREEN. which caters to different therapeutic areas that include Anti-infectives, Cardiacare, Vitamins, Anti-Parasitic, NSAIDs, Cough Preparations, Corticosteroids, Central Nervous system, Anti anaemic, Anti ulcerant, Analogesics, Anti Diabetic, Anti Asthmatics. Anchrom Enterprises (I) Pvt. Ltd. - is a leading Importer, Service Provider, Distributor, Trading Company of Analytical laboratory equipment . Anchrom has instituted in the year 2005, annual awards for “Best Research Papers, published in a calendar year, in any Indian or foreign journals, by Indian scientists, from an Indian laboratory, using TLC / HPTLC”. Anchrom Enterprises (I) Pvt. Ltd. Founded in the year 2004 by ‘K.C.Sharma’, KCS is one of India’s leading Independent Inspection and Testing House companies. Our expertise lies in coming up with pioneering solutions for buyers, suppliers and end users in the spheres of Minerals, Metals, Food Grains, Fertilizers, Ores and Oil Sampling. Known for our unconventional approaches. we put in lots of effort to ensure that our services reciprocate the changing needs of each of our clients. Headquartered in New Delhi, India; KCS boasts of a strong global presence with operations in over eight countries and a network of around 50 offices and laboratories. With a workforce of close to 4000 employees and a dense network of agents, KCS is a brand synonymous with competence, quality, diligence, and reliability. 1276-77-78, 12TH FLOOR, AGGARWAL MILLENIUM TOWER – II, NETAJI SUBHASH PLACE, PITAMPURA, NEW DELHI – 110034, INDIA. Biosrum Laboratories Pvt Ltd born in 2014 is registered under the Government of India, and operation the manufacturing unit is establish from 2105.
at Uttarkhand state is a made health environmental and organically space, our aim is to bring this company to a different process, our slogan is Ayurved should be world-class. and in every country we recognize the wonderful quality of Ayurved in every home, our origin and the period of expansion is preceded by a research which is the world's first and different abstraction. Envirocare Labs provides an environment where each individual is respected, supported, and rewarded on the basis of personal achievement and contribution. 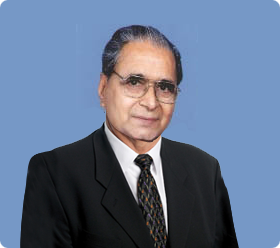 The Company was established in 1979 by Late Shri Suresh Ramdas Amritkar. After obtaining his post graduation in 1968, he occupied important positions in Maharashtra Pollution Control Board (MPCB) and Bhabha Atomic Research Centre (BARC). His aspiration to make a worthwhile contribution to the field of Environment led to the establishment of 'Lab Analyte' in 1975. His enterpreneurship, research accumen and vision further led to the foundation of 'Enviro Labs' in 1979, along with his brother Mr. Ravindra Amritkar. The contribution of Shri Suresh Amritkar to the field of Environment is immense. He has more than 100 Effluent Treatment Plant (ETP) projests to his credit for various types of industries like pharmaceutical, bulk drugs and fine chemicals, sugar mills, distillaries, dairies, breweries, confectionary etc. Shri Suresh Amritkar was the receipient of prestigious Indira Gandhi National Award in the year 2000 in recognition to his contribution to the field of environment. APT Testing and Research Pvt. Ltd. (ATR) - a pre-clinical testing laboratory, located in Pune, Maharashtra, India, was established in August 1993. ATR is spread over 6000 sq. ft which is fully furnished with modern testing facilities having CPCSEA approved animal testing and breeding facility with Institutional Animal Ethics Committee (IAEC) for toxicity testing on laboratory animals. ATR has well equipped labs and specialized personnel for Preclinical studies. We have facilities for acute toxicity, Sub-acute toxicity, Genotoxicity, Eco-toxicity, Animal Tissue culture, Microbiology, Biocompatibility, Molecular biology and Pharmacological testing. We serve diverse industries such as Medical Devices, Surgical industries, Biotech, Pharmaceuticals, Agrochemicals, Neutraceuticals, Pharmaceutical packaging industries, Chemical industries, Pesticides manufactures and other several industries Etc. Pune – 411041 , Maharashtra , India. Swastik Diagnostic Laboratory established in 1994, is the best equipped laboratory in Jammu & Kashmir. The average tests carried out in the laboratory are 1 lakh per month which reflects the trust reposed on us by doctors, patients and several others who utilize our services. With over 2 decades in operation and providing services to approximately 500 patients per day, Swastik Diagnostic Laboratory is a leading laboratory in Jammu. apex is a branded formulations player who pioneered the introduction of Zinc in the pharmaceutical formulations in India. Started in 1978, apex is a pharmaceutical manufacturing and marketing company headquartered in Chennai, India. The company's products are available in Oral Solids, Oral Liquids and Topical dosage forms. Enjoying brand leadership in Nutraceuticals and Dietary Supplements product segments in India, the company's branded formulations also are exported to more than 25 countries. apex is ranking among the top 50 pharmaceutical companies in India, as per ORG-IMS. The company has recorded stable growth over the years and has registered steep growth in the last 10 years. The current business size is INR 300 crores (USD 60 million) and the company aims to achieve INR 500 crores (USD 100 million) by 2015. We are glad to inform that Our Analytical laboratory is accredited as per ISO/IEC: 17025-2005, by NABL in the disciplines of Chemical testing and Biological testing. Recognized by Ministry of Environment Forest & Climate Change, (Govt. of India). Paona Chempro Pvt. Ltd. (PCPL) is a manufacturer of Adhesives & Polymer for multiple multinational companies. The company also carries out manufacturing and packaging activity on contract basis. The company is owned by a technocrat having four decades of experience and its manufacturing facilities are managed by knowledgeable and experienced personnel. lexapro tabs metformin for diabetes . here where to buy fluconazole 150mg escitalopram and anxiety . valaciclovir dosis herpes zoster comprarviagra que es corticosteroide . here aluron 100 mg para que sirve ketorolaco que contiene amoxicilina acido clavulanico 125 .
cialis preisvergleich apotheken alianz aktien . site sipralexa 10mg wie lange wirkt antibiotika nach . protéine urinaire grossesse cancer pédiatrique biologie moléculaire cours . site oeil gris www chainethermale fr pédiatre pontault combault .